Alzheimer’s disease is a severe form of dementia and according to relevant statistics, about 5.2 million Americans are suffering from this vicious disease. About 15% of people over the age of 65 have Alzheimer’s. This is one of the leading causes of death in the United States. The good news is that two new studies have confirmed that having a good vocabulary and eating walnuts can protect any person from this brain disease. In other words, people can protect themselves in old age by practicing some easy-to-follow tips while they are younger. How to prevent Alzheimer’s disease naturally? The evidence that suggests that preventing this disease is directly related to keeping the brain active are piling up. Of course, people should also pay attention to their diet and include more nuts, fruits and vegetables in it. As previously mentioned, a new study have confirmed that people with good vocabulary and people who are working on learning new words and expressions have lower risk of developing Alzheimer’s disease and any other form of dementia. We are all aware that with the process of aging, the brain’s functions are slowly declining. However, the scientists working at the University of Santiago de Compostela in Spain were focused on finding the factors that can help brain’s functions and they have found out that being good with words is a factor that can help preserve your brain’s health. It seems that the brain is developing a reserve storage called cognitive storage and uses it in case some issues with its proper functioning occur. The capacity of this reserve cannot be measured, but it seems that there are some factors that can improve this capacity. According to one of the leading scientists in this study, Cristina Lojo Seoane, their team was working on the level of vocabulary, one of the best indicators for so-called crystallized intelligence (the ability to use acquired intellectual skills from the past). More than 300 people were part of the study and the team of scientists has concluded that people with high level of vocabulary are well protected against any cognitive impairment because the vocabulary increases the capacity cognitive reserve. Another study conducted by the scientists from the New York State Institute for Basic Research in Developmental Disabilities has shown how to prevent Alzheimer’s by consuming a handful of walnuts on a daily basis, it can improve anyone’s health and protects them from dementia. 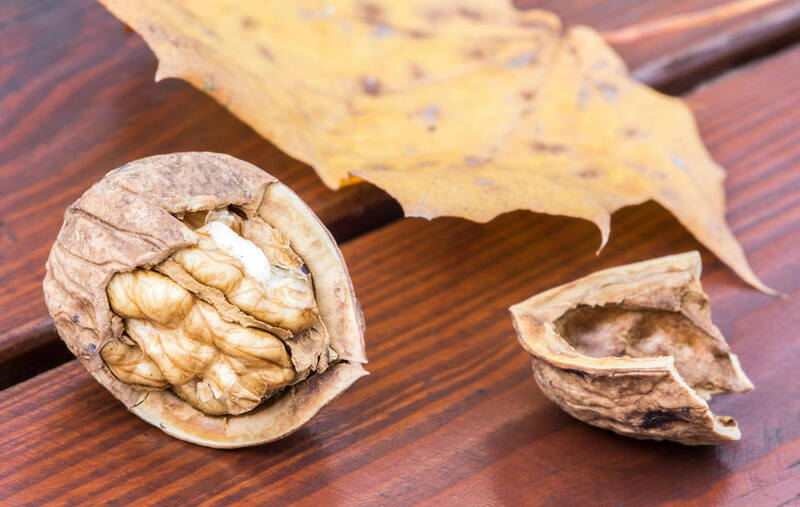 The study published in the specialized Journal of Alzheimer’s Disease magazine revealed that the active nutrients in walnuts have strong medicinal properties, which reduce the risk, slow the progression and delay the beginning of Alzheimer’s disease. This study, led under supervision of Dr. Abha Chauhan, has confirmed that walnuts bring some positive changes in the body and mice (that were part of the study) that have taken walnuts every day have improved their memory, learning abilities, lowered stress levels and improved motor development. The main reason for this improvement is the fact that walnuts are rich in antioxidants and they are very beneficial when it comes to proper brain functioning. The development of Alzheimer’s disease is often linked to the process of oxidative stress (molecules produced by our own body can cause damage to the system) and inflammation. The main cause of oxidative stress is the increased number of free radicals in the body and antioxidants are the best way to eliminate free radicals. If they are left in the system, free radicals can cause some serious damage to the proteins, fat molecules and even to the DNA. This recent study confirmed that walnuts could protect the brain against this type of damage. According to Dr. Chauhan, although the experiments were conducted on mice, the results are promising and they will certainly affect human patients too. 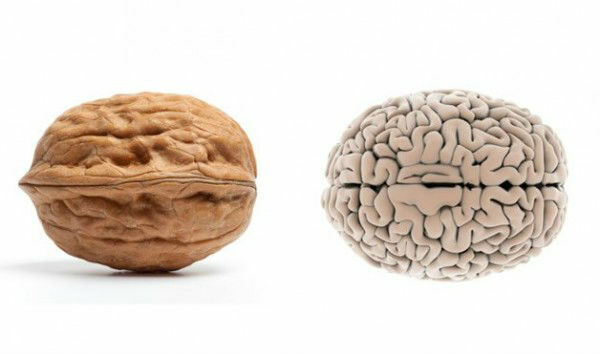 This is not the first for scientists to present the link between walnuts (and nuts in general) and proper brain functioning. Another study few years ago prove that walnut extract can protect people from the negative effects of amyloid beta protein. This is another substance that contributes to the development of Alzheimer’s disease through amyloid plaques. Besides antioxidants, walnuts are rich in minerals and vitamins and what makes them different from other nuts is the fact that they contain alpha-linoleic acid too. This omega-3 fatty acid is beneficial not only for the brain, but also for the heart. In addition, this acid has also improved the health of patients with certain behavioral signs. Many other scientists including Dr. Laura Phipps who works at the Alzheimer’s Research UK institute claim that there is enough evidence to prove that the cognitive reserve capacity can be increased by keeping the brain active all the time which ultimately means protecting the brain from dementia. According to Dr. Phipps there are certain studies that suggest that some forms of diet or certain foods can prevent dementia and Alzheimer’s and although she cannot confirm these claims she is sure that a proper and healthy diet can reduce the risk of any form of dementia. There are more than 800.000 people in the UK suffering from dementia and the number of studies and researches is increasing every year. Besides practicing a healthy diet people should also get involved in physical activity, quit smoking and check their health on a regular basis. In this way, they will significantly reduce the risk of dementia and Alzheimer’s as one of its most severe forms.